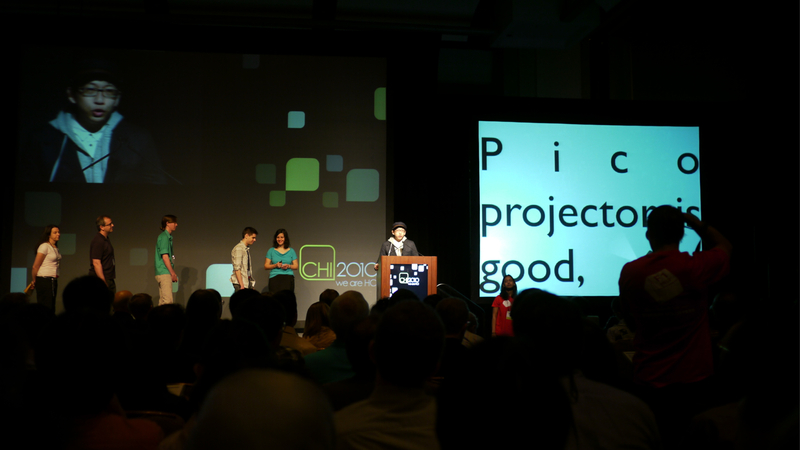 JU-CHUN KO — Public Issues on Projected User Interface. We argue that the Projected user interface (PUI) will introduce new problems both in environmental and social aspects which are seldom been explored. This paper explores our rights to project and be projected in public space. Can we project on human body without asking for permission? Can we refuse to be projected? Can projection pollute the environment and influence the people therein? This paper proposes several issues about people’s rights on projection, and provide discussions on possible solutions. What will happen when pocket projectors become mainstream personal display channels? 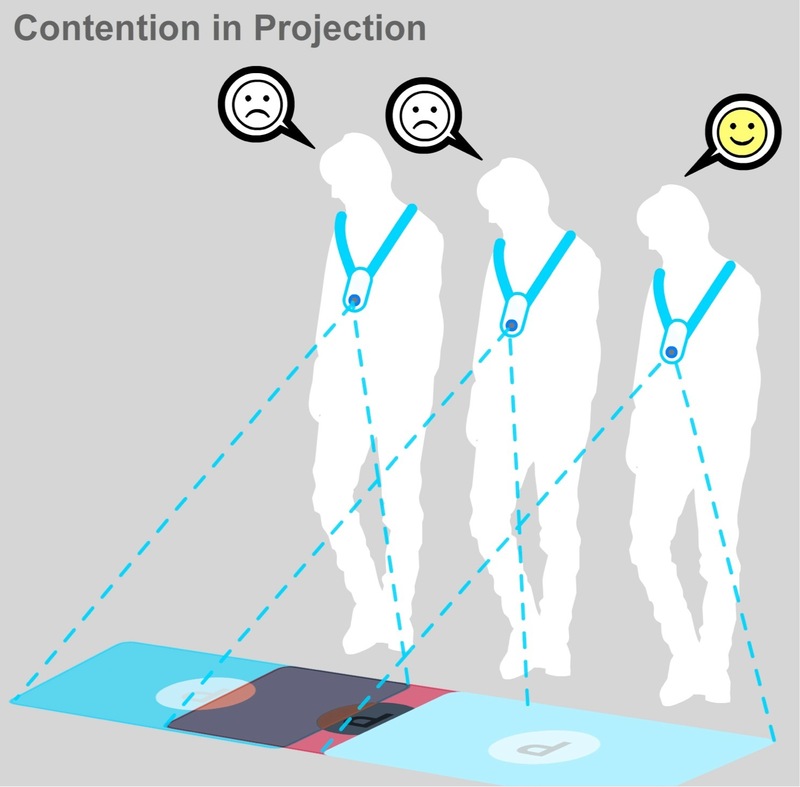 What will be affected when numerous projections intrude our living space without proper control? Today’s technology in projection has promised a big screen viewing experience from mobile devices, pushing us toward a truly ubiquitous display environment. But, is our society prepared for the next projection-generation?